Nigel Farage is quitting the British Eurosceptic and pro-Brexit party UKIP (UK Independence Party). In a letter published on the website of the newspaper The Daily Telegraph, Mr Farage says he does not agree with the party’s recent "fixation" on Islam and the influence of activist journalist Tommy Robinson in the party which he once led. "At the annual UKIP conference this year in Birmingham, I spoke at a gala dinner. My message was simple: one of the reasons why UKIP became so successful is that we kept out extremists and concentrated on the election battle. I warned that a change of course would irreparably damage the party," Mr Farage claims. Related coverage: UK - Nigel Farage Blasts UKIP Tommy Robinson Hire. According to him, UKIP members were always "decent and respectable" people. "Under my leadership, the party refused former members of BNP and EDL (British National Party and the English Defence League). We were often accused of racism and extremism, but I am convinced that this was not correct, "says Farage. "Under Gerard Batten (the current party leader) the course of the party has changed fundamentally." Related coverage: EU Brexit Agreement - Farage: “I Hope Parliament Votes It Down And We Leave On WTO Rules”. 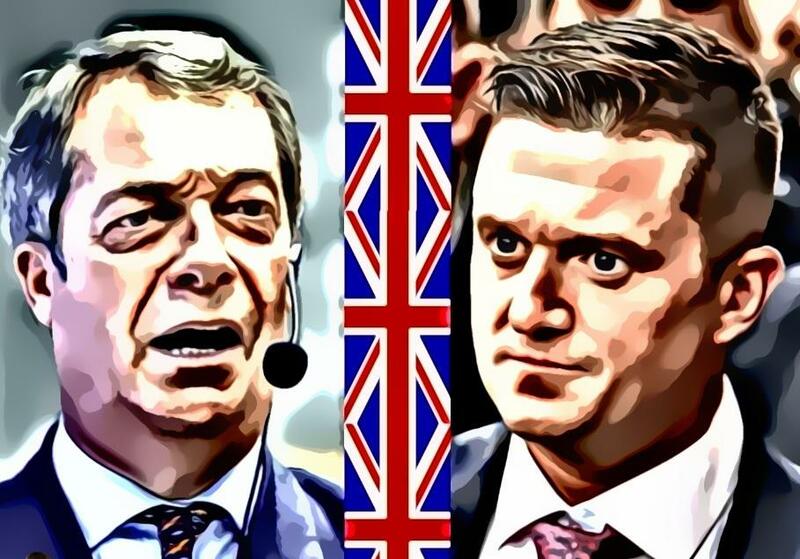 Mr Farage also refers to a photo of a planned Brexit march next Sunday which shows Tommy Robinson alongside current party leader Batten. “And so, with a heavy heart, and after all my years of devotion to the party, I am leaving UKIP today. There is a huge space for a Brexit party in British politics, but it won’t be filled by UKIP,” Mr Farage said. Tommy Robinson is a rabid zionist just like the rest of the EDL. Go Tommy - we love you!